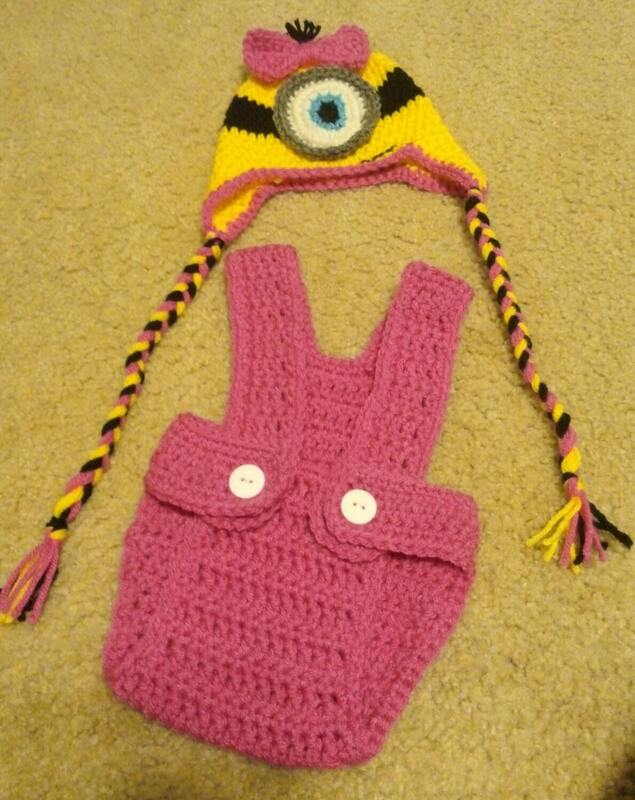 This set includes a girly minion ear flap hat as shown and a pink suspender diaper cover. 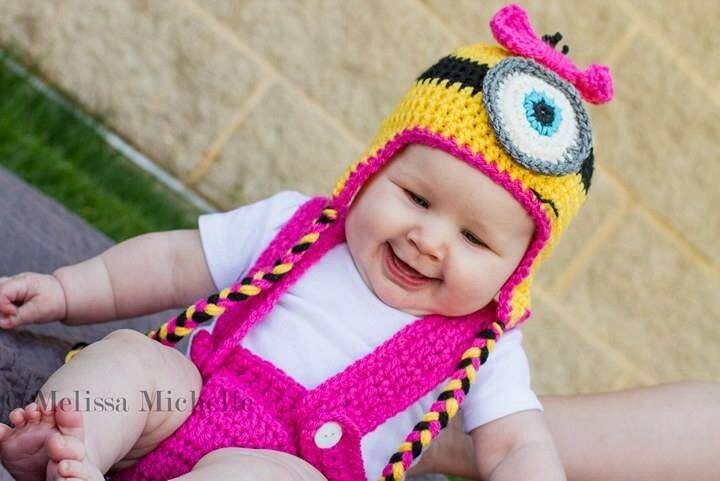 Having a Minion themed birthday party or need a baby Halloween costume? This set is perfect! 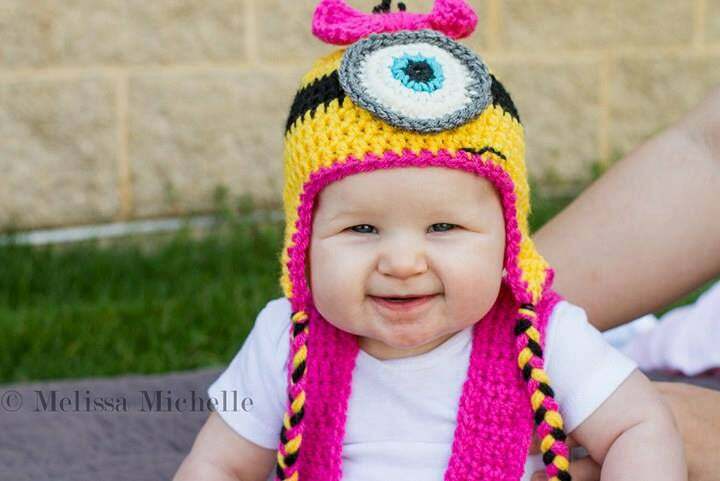 Your little girl can look super cute as a girly minion with a big bow. You just can't look at them and smile. 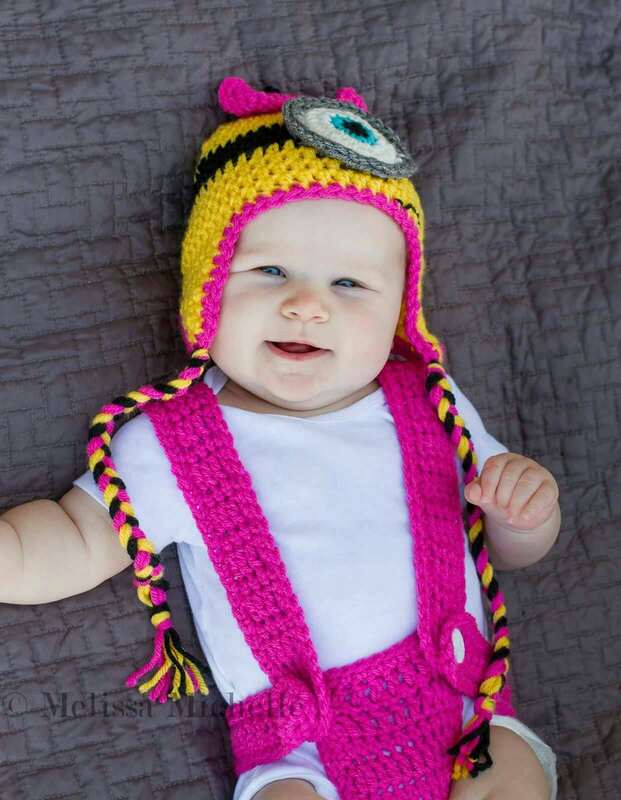 This set can be made in any size from newborn to 24 months. The diaper cover features button closures. 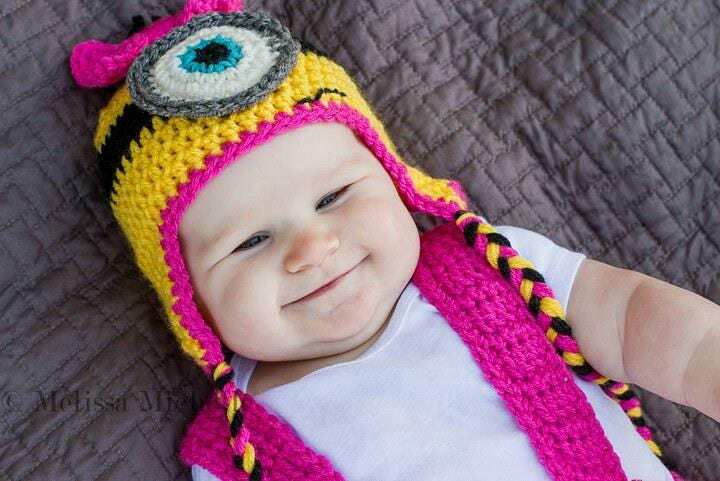 Made using 100% soft acrylic yarn. Machine wash and dryer safe, though I recommend laying flat to dry. Don't see what you are looking for? Just hit that Request Custom Order Button, and send me a message. I welcome custom orders!